To put this in context, Wealth Research Group spoke with the man who’s known as the Dollar Vigilante, Mr. Jeff Berwick. Jeff and senior analyst Ed Bugos are the minds behind The Dollar Vigilante, located at TheDollarVigilante.com, a joint-venture publication that covers the crash of the U.S. dollar, as well as other financial, political, and social issues. 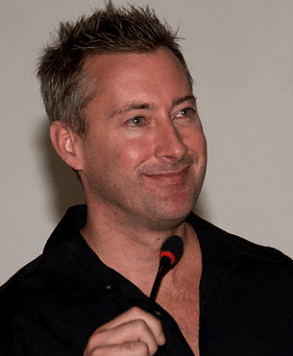 Anarcho-capitalist, Libertarian, and freedom fighter against the state and central banks, Jeff Berwick is also the host of the popular video podcast Anarchast, along with The Dollar Vigilante YouTube channel, which has over 220,000 subscribers and 25 million views. Jeff’s background in the financial markets dates back to his founding of Canada’s largest financial website, Stockhouse.com, in 1994. In the late 1990s, the company expanded worldwide into 8 different countries and had 250 employees and a market capitalization of $240 million USD at the peak of the tech bubble. To this day, more than a million investors use Stockhouse.com for investment information every month. Jeff was the CEO from 1994 until 2002 when he sold the company. Afterwards, Mr. Berwick went forth to live on and travel the world by sailboat, but he sank his boat in a storm off the coast of El Salvador. After being saved while clinging to his surfboard with nothing but a pair of surfing shorts left of all his material possessions, he went on to visit nearly 100 countries over 5 years and did and saw things that no formal education could ever teach. Mr. Berwick met and spoke with a plethora of amazing people, from self-made billionaires to some of the brightest minds in finance, as well as entrepreneurs from a broad range of backgrounds and locations, from tech companies in southern China to resource developers in Thailand, Russia, and Chile. He also read everything he could find on how the world really works both politically and financially. As the Dollar Vigilante, Jeff Berwick helps people all over the world to survive and prosper while the U.S. dollar collapses. He does so by providing the most important news on cryptocurrency, the economy, and more – all from a free-market viewpoint. Jeff is a prominent speaker at many of the world’s freedom, investment, and cryptocurrency conferences, including his own, Anarchapulco, and he appears frequently in the media, including appearances on CNBC, Bloomberg, and Fox Business. Jeff Berwick also posts exclusive content to the blockchain-based social media network Steemit each day. 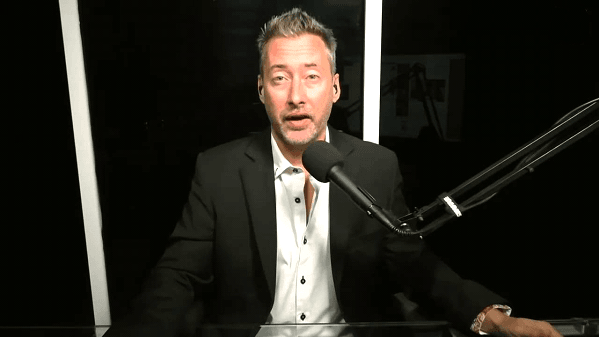 Mr. Jeff Berwick never fails to deliver in any interview, and Wealth Research Group knew that we could count on a sharp and frank discussion from The Dollar Vigilante himself. According to Jeff Berwick, we’re at a point in history where the people have an opportunity to take a lot of the power back from governments and central banks through cryptocurrency. 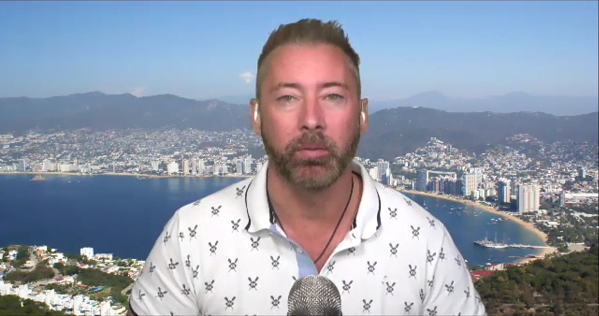 As the fiat monetary systems collapse – and they have to collapse, according to Jeff Berwick – we have a chance to rebuild them without the centralized control systems. There’s also a great opportunity to profit. For instance, Jeff has been invested in cryptocurrencies since 2011, when Bitcoin was trading at $3. Mr. Berwick first got into cryptocurrency because of its power to take away the central banking cartels’ power, and he’s doing quite well, as Bitcoin and other major cryptocurrencies have made considerable gains over the years. In addition to cryptocurrency, Jeff is also bullish on gold right now. According to Jeff Berwick, if you don’t have some hard assets right now, it’s a great time to start a position because that’s a way to protect yourself as we enter hyperinflation and fiat currencies inevitably head to zero. Let there be no doubt about it: all of the world’s major fiat currencies will go to zero, be it the dollar, euro, yuan, and all the rest of them. The governments are in too much debt and deficit, the central banks are all printing money like crazy, and it’s all going to hyperinflate at one point. We’re not talking about hyperinflation in a matter of decades, according to Jeff Berwick: at this point, the fiat currency collapse will happen in years or months. Mr. Berwick recommends getting into hard assets and cryptocurrencies that governments can’t print into worthlessness. Another possibility, according to Jeff Berwick, is real estate investing, but not in overinflated markets like New York or London, which have been built up to bubble levels due to massive central bank money printing. Instead, Jeff prefers to look at real estate in other regions, such as Mexico and parts of Asia, which haven’t experienced that level of hyper-growth. There’s never a dull moment with The Dollar Vigilante, and you’re personally invited to watch Wealth Research Group’s complete interview with Jeff Berwick. You can also visit TheDollarVigilante.com to get more insights and commentary from Mr. Berwick that you won’t hear anywhere else. There’s an online library of downloadable economic reports available right now from Wealth Research Group, so be sure to get your copy of our report on fiat money’s risk to the global financial system and the impending end of the dollar’s reserve currency status, our Domestic Cancer: America’s Biggest Challenge report with critical data on the attack being perpetrated on U.S. soil today, plus our report on how you can arm yourself with knowledge as the globalist enemies from within conspire to destroy the middle class. RON PAUL EXCLUSIVE: Deep State & Banking System Taking Economy DOWN!